Sales continue to grow at independent drinks producer and distributor Global Brands, with the company reporting a 19.5% increase in total sales, taking turnover to over £50m for the financial year ending 30th September 2018. This follows 16% growth in the previous financial year (2016-17) and sees gross profit rise from £11.8m to £14m for 2017-2018. Global Brands sold around 60million drinks during the last year, with its brands now available in 58 countries. The company, which was founded in 1997, saw the value of exports grow by 21% year-on-year, pinpointing strong demand for its drinks in Belgium, Italy and South Africa. In 2018, Global Brands secured a listing for its Franklin & Sons range in South Africa’s largest retailer, Pick N Pay, which is selling the British company’s premium tonics, mixers and soft drinks in over 1,100 stores. 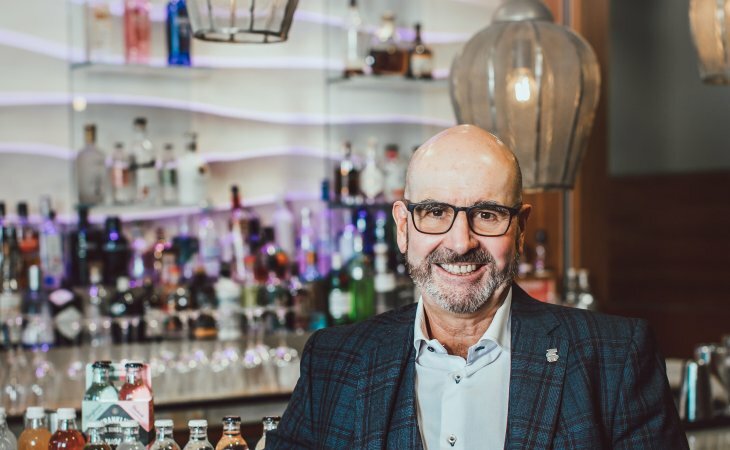 Founder and chairman of Global Brands, Steve Perez, explains: “The drinks industry is so strangled by needless bureaucracy, it limits original ideas. Our company growth is being driven by an innovative and entrepreneurial team that’s encouraged to do things differently. They’re constantly looking at how they can create new drinks that justify a place on supermarket shelves and in the fridges of bars, late-night venues and restaurants around the world. “The team’s innovative thinking is rooted in what consumers want and working with our customers to quickly meet demand. It led to the creation of premium canned cocktail All Shook Up and one that’s now a top seller in one of the UK’s largest supermarkets. The success of All Shook Up saw Global Brands add a third canned cocktail – fruity flavoured Flamingo Colada – to the original line-up of two flavours; Passionfruit Martini and Espresso Martini. The company also expanded its range of award-winning premium tonics, mixers and soft drinks, Franklin & Sons, adding the ‘Flavour Collection’ four new dual-flavoured tonics and three Infused Sodas were added, which saw total sales volumes grow by 101% for the year ending 30th September 2018. The Infused Sodas are just 49 calories per 275ml bottle and come in three unique flavours; Fragrant Guava & Persian Lime with Root Ginger, Exotic Pineapple & Aromatic Cardamom with Cracked Cubeb Pepper, and Succulent Pomegranate & Floral Hibiscus with Delicate Rose. Steve concludes: “The company was founded on innovation and entrepreneurialism with the creation of vodka-based Ready To Drink (RTD) VK. It’s 20 years this year since we sold our first bottle of the RTD and it’s more popular than ever – it’s the best-selling drink of its type in bars and late-night venues across the UK and we sold over 28 million bottles of VK in the on and off trade last year.